It consists of front roller conveyor, tilting system, transmission roller, portal frame, cane, vacuum cover, etc. 1. Stacking machine is used to transfer the cut sandwich panel to specify position and automatically stack the single piece panel into pack. 2. Tilting system can tilt singular roof panel into 180o, so panels could be stacked in face and back in order to save the place. 3. 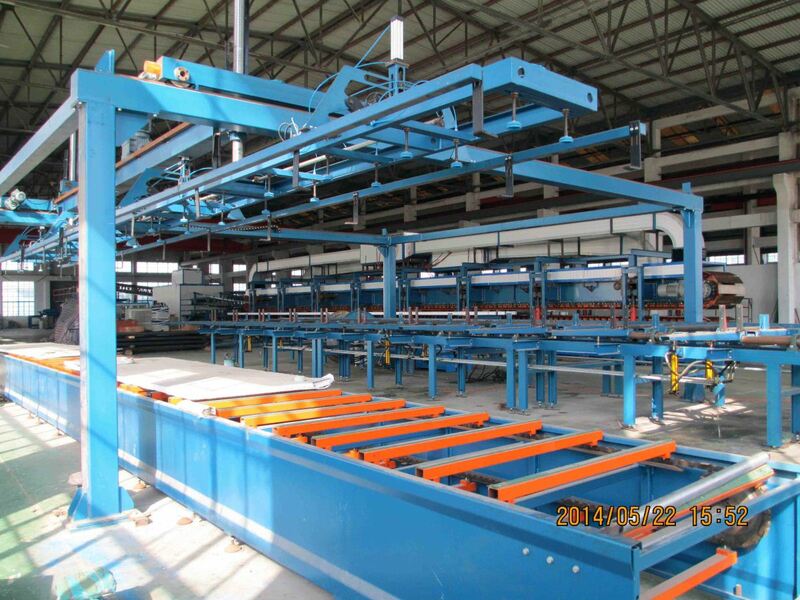 Max length for roof panel tilting system is 15m.